1. David Reese- Clack 6-7 240 OL Clackmas.. Upside is off the charts as the kid has the frame to be a force on the football field with added size and work. Started as a sophomore and did very well at our elite events, brother of player of the year Jen Reese in girls hoops. Talented basketball player himself. 2. Tanner Davies 6-3 275 OL/DL Sheldon..Played a big role as a sophomore, outstanding size..14 pancake blocks in backup role. Did very well at UW Showcase and will be looked to lead this season up front on a potential state title team. 4. Craig Fobert 6-4 270 Canby.. Another beast that should do very well blocking up front with a very talented 2014 class. Will be a big factor in the coming years. 5. Tyler Cox 6-3 230 DL/OL Southridge.. Big two way threat with a huge upside, will most likely just get bigger and be one of the best lineman in the Metro over the next two seasons. Has top coaching with Brian Cassidy, and a phenomenal work ethic. Expect to see him add significant size as he is still young, with outstanding genes. 7.Austin Homes 6-4 225 OL/DL Eagle Point.. Brother of Montana Commit Tyrone Homes who has been a special player with multiple offers. Austin has a frame , that would allow him to add significant size and shows outstanding overall athleticsm with his basketball abilities. 8. Will Heck- Crescent Valley 6-1 260.. Started as a sophomore and did very well. 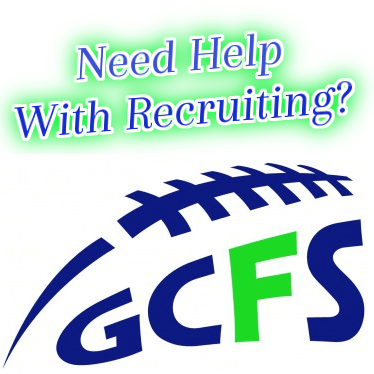 Talented lineman that will team with Powell/ Bodon on what is the top line at the 5a level in Oregon. 9. Noah Bagley- West Linn 6-2 320.. Just a big dude that does a very good job clearing the way for ball carriers with his overall size. It will be very interesting to see how he develops and grows. 10. Ellis Eaton- West Linn 6-2 235.. Super talented kid that can play on either side of the ball and is one of the state’s best juniors. Brother Elijah was a standout at WL as well. 10. Nick Kraxberger 6-3 255 Canby.. An important member of the three headed monster that is the Junior Canby offensive line. Should be one of the better young lineman in the state. Leo Tuinei 6-2 260 OL/DL The Dalles… 1st team all league DL with a huge upside, big and physical kid that could dominate the whole league. PJ Schubert- 6-4 280 OL/DL Pendleton.. 2nd Team O Lineman, should provide a solid foundation moving forward.. Has added size and looked good from a young age. Danny Tanabe- Southridge OL/DL 6-2 230.. Good size kid that is just getting better, and has a mean streak needed to be successful at the highest level. Will looked upon to start both ways and once again has top coaching with Cassidy. Damian Martinez Hermiston.. 1st team all league kid as a sophomore that goes by “pug”. Not quite sure what that means but I wouldnt want to mess with anybody that’s ok with that. 2. Christian Martinek 6-3 220 DE Jesuit- 1st team all league as a sophomore in the very tough Metro League. Projects as more of a OLB type but will also be playing QB so his time may be limited. He is one of the top overall athletes and pitchers in the country and will be a high MLB draft choice in a few years. The fact that the kid plays QB & DE and is the best at both speaks volumes about his talent level. 6. Sione Taumoueanga 6-0 265 OL/DL Roosevelt.. 1st team all league D line, 2nd team O line..Absolute beast up front. Had an outstanding sophomore year, may just be a size issue. 7. Austin Homes 6-4 225 OL/DL Eagle Point.. Brother of Montana Commit Tyrone Homes who has been a special player with multiple offers. Austin has a frame , that would allow him to add significant size and shows outstanding overall athleticsm with his basketball abilities. 10. Tyler Cox 6-3 230 DL/OL Southridge.. Big two way threat with a huge upside, will most likely just get bigger and be one of the best lineman in the Metro over the next two seasons. Has top coaching with Cassidy, and a phenomenal work ethic. Expect to see him add significant size as he is still young, with outstanding genes. Josh Brown 6-5 235 TE/DL Sunset.. Started both ways as a sophomore and has a huge upside..Size gives him the ability to climb this list quickly, needs to work on overall speed. Danny Tanabe- 6-2 230 Southridge OL/DL.. Good size kid that is just getting better, and has a mean streak needed to be successful at the highest level. Will looked upon to start both ways and once again has top coaching with Cassidy. Janak Ward 6-1 230 Tigard OL/DL.. Talented young lineman that will need to be a leader on a line that loses three big time seniors from last season. Not the biggest kid in the world but very strong and athletic. Kyle Eli 5-9 200 S.Medford DL… 43 total tackles, 3 sacks, very productive sophomore season.. Undersized kid that could cause havoc for most teams.